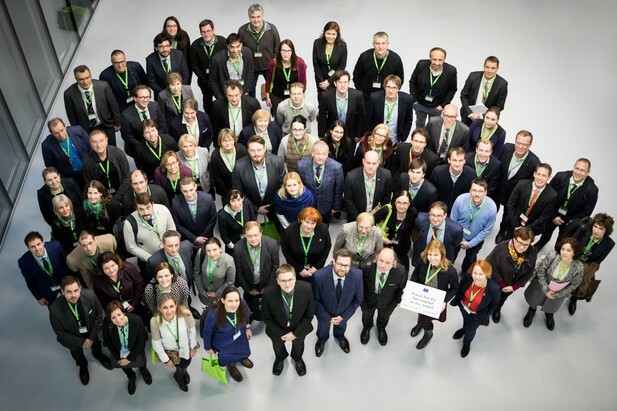 The Alliance4Life project began in 2018 with the aim of making research institutes in central and eastern Europe more competitive. 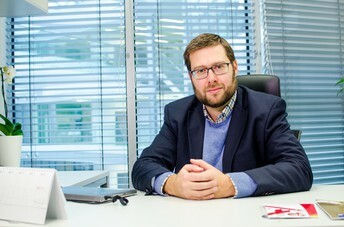 Jiří Nantl, Director of the Central European Institute of Technology (CEITEC) at Masaryk University in the Czech Republic, one of the 10 institutes in the Alliance, discusses some of the issues they have focused on so far. What inspired the Alliance4Life project? Many of the research institutes in central and eastern Europe cooperate with institutes in western Europe, but we collaborate very little with each other. For instance, we probably have more people from France working at CEITEC than people from Poland, and we know relatively little about research institutes in our neighbour Slovakia, despite being part of the same country 30 years ago! What are the main challenges faced by researchers in central and eastern Europe? Research institutions and their management are often undervalued, so in the end they cannot provide sufficient support to their researchers. Also, public funding for research is often unpredictable. Many researchers in our region of Europe might not know whether their current funds will continue next year, or what sources they may use under the existing rules to buy equipment and reagents. In many countries, about 90% of funds are distributed on a competitive basis through grants – there’s almost no baseline institutional funding (though the Czech Republic is more fortunate in that respect). Do many students leave for the west after graduation? That is not an easy question to answer because while some students do leave, other students come here from western Europe. I would say that at CEITEC we have a problem because Czech students often don’t want to leave, which is something we encourage them to do. We now have a formal policy that requires them to leave after they have completed their degree, which has been somewhat despised by the students. They think that the Czech Republic is a wonderful place to live, so why should they leave? Moreover, it obviously can be very convenient for supervisors to keep people they have trained. At that point, it is an ethical issue as well. Do many institutes in the region encourage researchers to be mobile? No. In the region’s research culture, it’s actually often seen as desirable that you stay at one institution from your doctoral student position to higher positions. Loyalty – to your supervisor and your department – has traditionally been valued more than the experiences that you bring from other places and your own aspirations. How does this affect the career paths of the researchers? Well, as a result there have not been scientific careers as they are normally understood. For instance, we didn't have conventional postdoc positions until recently. Instead you graduated, and then you stayed in a very uncertain position with vague promises of internal promotions. So there have been people who have stayed for a long time within one institution with the prospect that one day they might get their own team, maybe when their supervisor retires or dies. That's what we are changing. For instance, at CEITEC all group leaders are now selected through a competitive process. We want leaders, we want to stand out, and that requires people who come from outside the institute. If a group leader leaves the institute, the whole team is disbanded and that creates space for a new team. Once you have a community of principal investigators who were not all classmates thirty years ago, then the dynamics of the institution are very different, and it allows changes to be made. Why would an institute not use a competitive process to hire group leaders? Very often it’s because of the reliance on competitive funding. Institutes often don't decide to formally appoint a principal investigator: rather, someone just accumulates enough money from grants to run a team, which is rather informal and not utterly transparent. How do you manage the different strands of Alliance4Life’s work on institutional, national and EU policies? One problem is that the state, and sometimes the EU, tries to fix problems that are really the result of the institutions not working properly. So the Alliance recommends that we look at what the role of institutes should be, if they are performing that role properly, and if they have sufficient tools to provide a good environment for their researchers. And there should especially be clear boundaries between national and institutional policies. How are you encouraging others to adopt this attitude? During this year, we are going to invite national policymakers to round-table discussions in all of our countries. We will discuss our experiences and findings, and we will try to encourage a positive move in national research policies. What have been the highlights for Alliance4Life so far? We have put in place a scheme for administrative training that allows us to share our experiences of operating research institutes with each other. Things that work well will be spread around as an inspiration for good practice. We have also started an initiative to offer travel grants to attend scientific events across this region. Finally, I think one of the successes was that we were able to establish the Alliance in the first place. Being a member requires extra work from the institutes, and that’s not very easy for many of them. But I’ve observed in recent meetings that people are really thrilled to be part of the Alliance. A community has formed.